Humans, like all social species, have some form of governance. Social species need their ‘alpha male’, even if that’s a queen in a beehive. Being a more complicated species than bees, hierarchical governance is multi-layered. Even within our species, the more sophisticated the culture/civilization, the more layers. Hunter gather groups have few, if any, layers — no courts, parliaments, congresses, or special interest clubs. Just as a pyramid needs its base, a social hierarchy relies on the support of the governed base. To be viable, a government must have the Mandate of Heaven (1), as the Chinese used to say. Viewed from a symptoms point of view, the particular governing system a society adopts necessarily reflects the inherent needs of that society. However, most may see this the other way around. 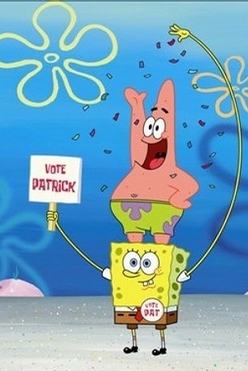 For example, many see democracy as the cause of modern progress and freedom. That is putting the cart before the horse. Instead, democracy is the kind of governance that is conducive for this current era’s circumstance. Democracy is a story about what we want, not truly about reality. Whether a governance system is benevolent or ruthless has little to do with whether it is a democracy or not. After all, under the United State’s democratic system, we had slavery, killed Indians, and despoiled the environment. Moreover, citizens with the loudest mouths or the fattest wallets dominate our free speech. In the end, it is all about power. The big powerful dog is the leader of the pack. Civilizations have more sophisticated ways to express power. In a capitalist country like ours, money is the big power dog. In Islamic and communist regimes, ideological ‘dogs’ hold the reins of power. 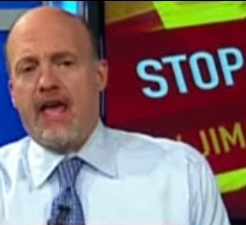 Jim Cramer’s goal is to help people participate successfully in the stock market. I began experimenting with the stock market during the 2009 crash. I’ve found it to be a most effective way to actually apply and test Taoist theory to real world practice — the Dao of Dow as it were. Yoga, blowing Zen (shakuhachi), and tai chi have been effective expressions of the idea of marching forward when there is no road as chapter 69 puts it. However, such practices happen over the long-term, the feedback is constant but never grabs me emotionally. Conversely, the stock market offers immediate visceral feedback when I attempt to put into practice what chapter 43 describes as The teaching that uses no words, the benefit of resorting to no action, these are beyond the understanding of all but a very few in the world. (1) The Mandate of Heaven (天命) was a principle used to justify the power of the emperor of China. According to this belief, the heavens, which embody the natural order and will of the universe, bestows its mandate to a just ruler. I see this more simply as, whatever happens happens naturally, or as chapter 5 says, Heaven and earth are ruthless, and treat the myriad creatures as straw dogs. I wait with baited breath for the “Dao of Dow”, I don’t know much about the stock market, but I’d like to know more, and maybe starting with the Taoist perspective of it (or perhaps more accurately, the Carl perspective) might be helpful. The myth of democracy has bothered me more and more recently. The understanding for viewpoints that I glean from the Taoist perspective has helped me to be less vocal about the choices of others, but it’s always annoyed me how people swallow the myth of choice that democracy offers. We get to choose our figurehead from a very limited list, and beyond that, have no control at all. People are even surprised that once the elections are over, the government revert to doing whatever they feel like instead of honouring their electoral promises. I just say, once the election is over, these promises have served their purpose, they’re for saying, not for doing.